The Good Samaritan law is a Texas law that tries to protect people when they provide aid in an emergency. The purpose of the law is to make sure that people who might be willing to provide aid aren’t dissuaded because of potential legal liability. Lawmakers hope that citizens willingly offer aid to others without having to worry about a lawsuit. Texas law says that when a person provides aid in an emergency, they’re generally not liable for damages that result if they give aid in a negligent way. It must be a true emergency, and there must be no medical personnel available to give aid. If the person acts willfully or wantonly negligent, the injured victim can still recover. When you meet with a Houston personal injury attorney, we’ll explain that the Good Samaritan law applies only to people who don’t have a license or certification in medicine. If the person has a license in a health profession, they have a higher standard of care. In that event, you can discuss with your attorney whether the person’s negligent behavior may allow you to recover for your damages. Say that a construction worker falls from scaffolding. She slices her arm during the fall and it begins to bleed quickly. A woman walks by and assists the woman with tying a tourniquet on the arm. The construction worker later sues the woman, claiming the tourniquet could have stopped the bleeding faster if it had been tighter. In this case, Texas’ Good Samaritan law protects the woman who ties the tourniquet. However, if the woman has a medical license, the construction worker may still be able to recover if the passerby provides negligent aid. If you’re hurt, we invite you to meet with our Houston personal injury lawyer team to talk about your case. 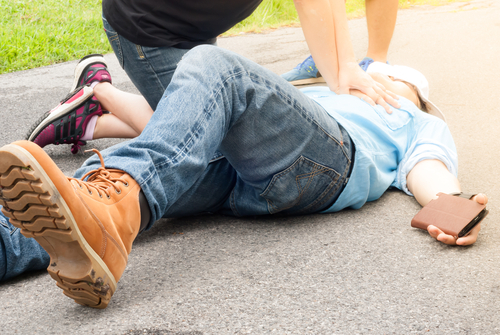 At Sigmon Law PLLC, we know the ins and outs of the Texas Good Samaritan law. We can talk about whether it applies to your case and your options for maximum recovery under Texas law. Please contact us today.